It’s hard to get a job as a software developer. While there may be a lot of jobs thanks to the expected growth rate of 24%, the people who get these jobs tend to have lots of experience and sought-after skills. If you want hiring managers to see you as a competitive applicant, you need to create a document that succinctly and accurately showcases your experiences, accomplishments, and skills. The right format goes a long way toward creating a professional file that looks nice and is easy to read. However, for many applicants, the design part of resume writing causes the most trouble. 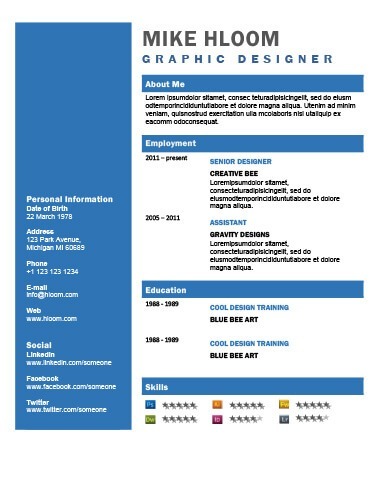 Thankfully, you can get killer design tips by using our software developer resume templates and reading our guidelines. Get started today! Why Use Software Developer Resume Templates? Most hiring managers spend an average of six seconds looking at a resume before moving on to the next. Your document has to make them want to learn more with a simple glance, which means your top experiences and skills need to jump off of the page. You should use our templates and resume samples to make your document creation easier and more successful. Because so many employers spend only a short time looking over resumes, you need to make sure your information is easy to see. Creating a one-page resume puts all of your experience, skills, and accomplishments on the front page and in the spotlight. Most software developer resume templates should remain a single page. Potential exceptions could include executive-level documents, portfolio layouts, or video resumes. Many modern companies use applicant tracking systems to make the hiring process easier. ATS scans through hundreds of resumes to pick out the documents that most closely match what the recruiter is looking for. ATS-friendly documents should not include images, borders, tables, or columns because the system cannot decipher information in these formats. 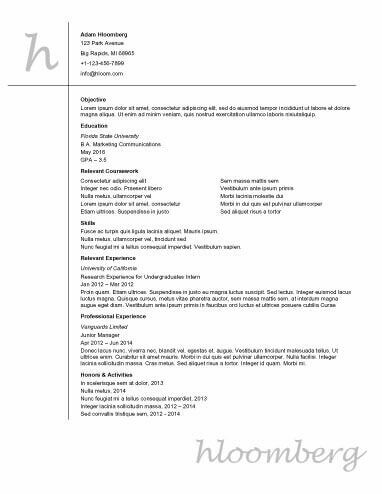 Sometimes it’s safest to use simple software developer resume templates. When you think of a resume, you probably see a simple, clean document in your mind’s eye. One that uses a black-and-white color palette, typical font, and simple headers could fall into the basic template category. These software developer resume templates focus on your accomplishments rather than design elements. This layout can still use bulleted lists and low-key embellishments to make the document more engaging. Are you gunning for a job that requires creativity? If so, you may want to look through software developer resume templates that incorporate daring embellishments and color schemes. Creative layouts can set you apart from the competition, but you need to use this format appropriately. Not all employers will appreciate a colorful file. A strong resume should show off your professional skills. Portfolio resumes incorporate examples of your work alongside typical job-application information. This layout could serve you well when a job description requests samples of your work. If you don’t have any impressive work to show off, you may want to use more traditional software developer resume templates. If you want your professional document to stand out, it not only has to look good but also inform readers. Are you struggling to figure out how to write your resume? Use this checklist to ensure your content is as good as the software developer resume templates you use. Tell the reader who you are. 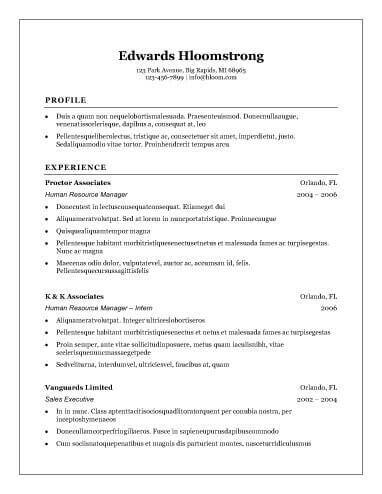 Putting your full name at the top of the document in a standout font ensures employers will know who the resume is about. Make contacting you easy. List your most up-to-date contact information, such as an email address and telephone number, so recruiters can set up an interview without much effort. Mention where you live. Let hiring managers know you’re in their area by at least listing the city and state you live in. Show off your professional achievements. Include a link to a professional website to allow employers to see some of your work. Avoid oversharing. You don’t have to put a work number or your birth date on a resume. Figure out which opening statement works best for your resume. Most modern documents should use a summary statement rather than an objective statement. Build a summary statement if you have related experience or transferable skills. This paragraph should give readers a quick look into your professional achievements, skills, and experiences. Craft an objective statement if you have no related experience, e.g. you are recently graduated or plan to switch careers. This statement tells employers what you want to achieve in the position. Showcase your ability to succeed. Creating a list of job-related skills makes your ability to do the job clear. Use keywords. Find skills the hiring manager wants to see by reading through the job description, and copy exact phrases when possible. Tell the company what you’ve done in the past to show what you’re capable of in the future. Pointing out your top accomplishments and responsibilities makes your proficiencies clear. Give ample information about past jobs. Try to include position title, company name, and employment dates for each position. Use discretion. Experts suggest listing up to the last 20 years of experience, but try to make sure everything on your resume is applicable to the job at hand. Make your training clear. List all of your college-level education and career-specific certifications in a reverse-chronological order. Present the same information for each degree. Try to include the degree name, your area of study, the university name, and your graduation date. If you’re ready to put the job search behind you, you need to create a resume that stands out and informs. Using our templates, resume builder, and advice can help you get to where you need to be.